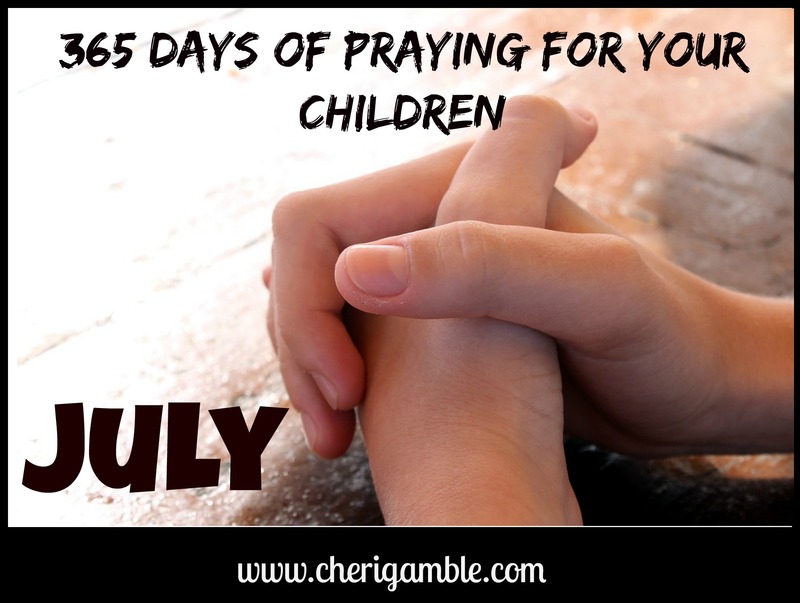 I don’t know how many children you have, whether they are still at home or out on their own, or what situations they have encountered this past month, but I do know that praying for them is the most important thing you can do as a parent. Our children never outgrow our prayers. 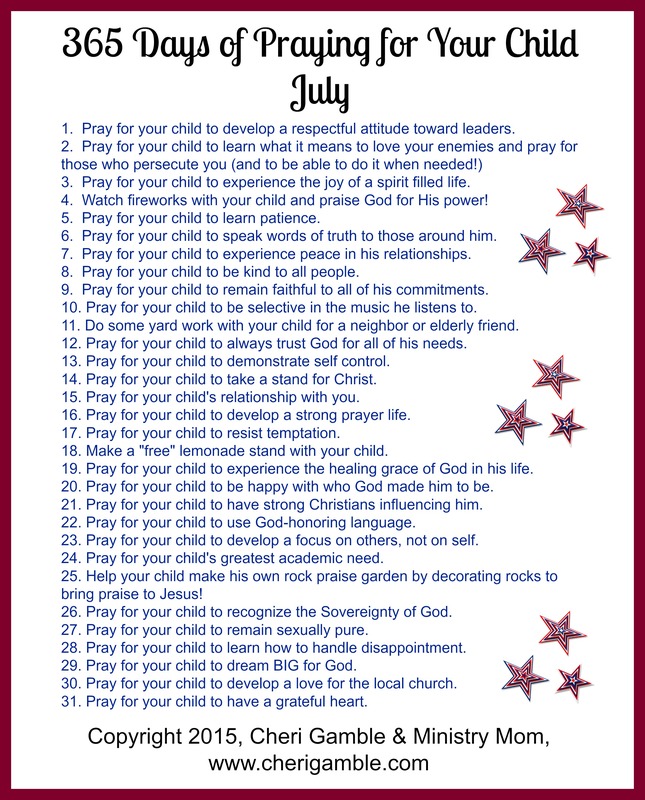 Please print off this month’s calendar and then spend time each day praying for your children. 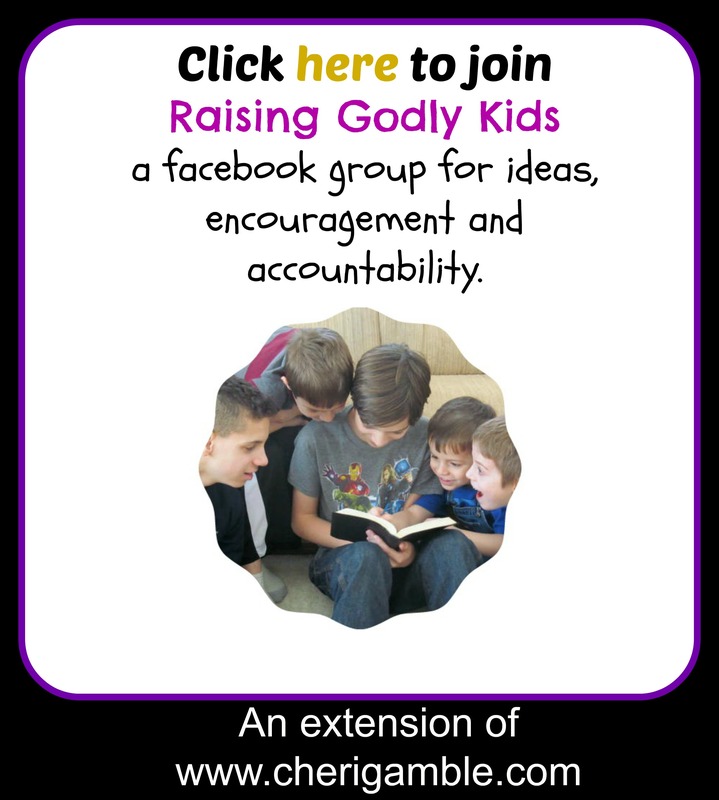 And while you’re at it, join our facebook group, “Raising Godly Kids” and come “like” my facebook page so you never miss anything that is happening here at Ministry Mom. Have a great July and Keep Praying!